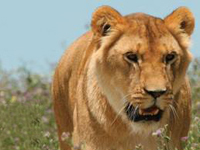 Find out the latest news about Lion Ark and where it is being screened. Lion Ark has partnered up with Tugg! Free screening in Warsaw, Poland. Lion Ark roars into the Italian Senate! Lion Ark makes its triumphant return to Johannesburg! Hosted by Ban Animal Trading, our multi-award winning film will be screening at vegetarian restaurant Conscious 108 on Saturday 3rd December 2016. Book tickets now ». The award-winning Lion Ark will be available on DVD from November 2016. Order this feel-good movie here. Lion Ark plays at the LA Screen Actors Guild, 5:15pm on Saturday April 9, to help Animal Defenders International airlift 33 ex-circus lions from South America to a sanctuary in their native Africa next month. Join us in the West End of London for a red carpet gala screening of award-winning documentary Lion Ark with the rescue team, ADI’s celebrity supporters and the filmmakers. Book tickets! Arca de Leones gets ready to roar in South America! VIP screening/fundraiser in LA a success! Jorja Fox to host US Premiere After Party Fundraiser! The World Premiere Screening of Lion Ark at the Raindance Film Festival London has sold out! Thank you to everyone who snapped up tickets so quickly. However, if you missed out please contact Angie Greenaway at the ADI office – tel. 020 7630 3340 or email angiegreenaway@ad-international.org and we will put you on our list for any tickets that come available. Lion Ark has been selected for the San Diego Film Festival in Southern California. Tickets available shortly. For more information, please visit the Lion Ark website.